St. John’s wort (Hypericum perforatum) is an easy plant to both grow and care for. It is mainly grown for its medicinal properties but also for ornamental purposes due to the plant’s beautiful flowers. The plant is a hardy perennial and has a shrub-like appearance with a protruding stamen that is surrounded by bright yellow flower petals. It is generally in bloom around the midsummer, and the blossoming goes on up to fall. St. John’s wort is most commonly propagated by seeds or stem cuttings, but it can also be done by root divisions. It should not be planted too close to other plants as it tends to smother other plants out. 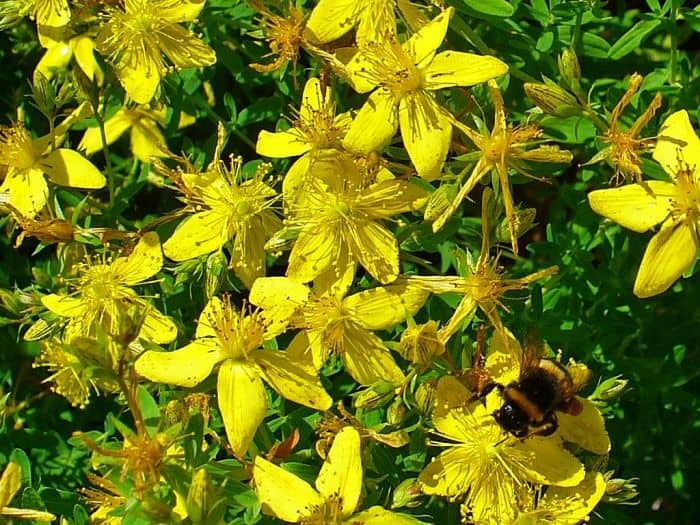 Grow St. John’s wort in an isolated part of the garden or a flower pot or appropriate container. Growing St. John’s wort by seeds: St. John’s wort can be propagated in more or less the same manner in which most plant species are propagated by sowing seeds at a preferred planting location. One of the most effective yet simple method for propagating St. John’s wort by seeds is surface sowing. As the name suggests, this propagation method requires the seeds to be pressed into the soil without covering them. If the seeds are left uncovered, they will germinate faster due to the exposure to light. To speed up the growing process, the seeds can be sowed in pots or other appropriate containers indoors 6 to 8 weeks before the last frost, and then the young seedlings can be transplanted outdoors when they are 2 – 3 inches (5 to 8 cm) tall. If the St. John’s Wort seeds are sown directly in the garden it should be done in the spring or summer, up until two months before the first frost. To accelerated the seeds’ germination, they can be soaked in warm water for a few hours or overnight. Growing St. John’s wort by stem cuttings: Another standard method of propagating St. John’s wort is through the use of a stem cutting. A stem cutting is simply a portion of the stem that has been obtained from a fully grown plant. The stem cutting should be obtained from a healthy, pest-free plant and it should have one or more buds on it. They should be 5 to 10 cm (2 to 4 inches) long, and the leaves should be removed from the lower half. Plant the stem cuttings in containers or pots filled with the appropriate growing medium, usually free-draining compost, so the cuttings can develop roots. After planting the cutting should be kept moist, often with the help of a propagator or by covering the containers with a transparent plastic film or bags. Usually, the stem cuttings root faster if the lower end is dipped in a hormone rooting liquid or powder. The young cuttings should be stored in a place with plenty of light but away from direct sunlight until they root. The cuttings can be replanted outdoors when they have filled their containers with roots. Growing St. John’s wort by root division: Like most perennial plants, St. John’s wort can be propagated by root division. To divide an established plant, it should be dug up in early spring just as it is emerging from its winter dormancy. The root clump should be separated into two equally sized parts which then can be replanted either in pots or directly in the garden. The plant should be watered immediately after replanting. St.John’s wort is not a demanding plant and does not have many requirements to be able to grow, but still, there are several specific conditions that are ideal for the plant to thrive and look beautiful. 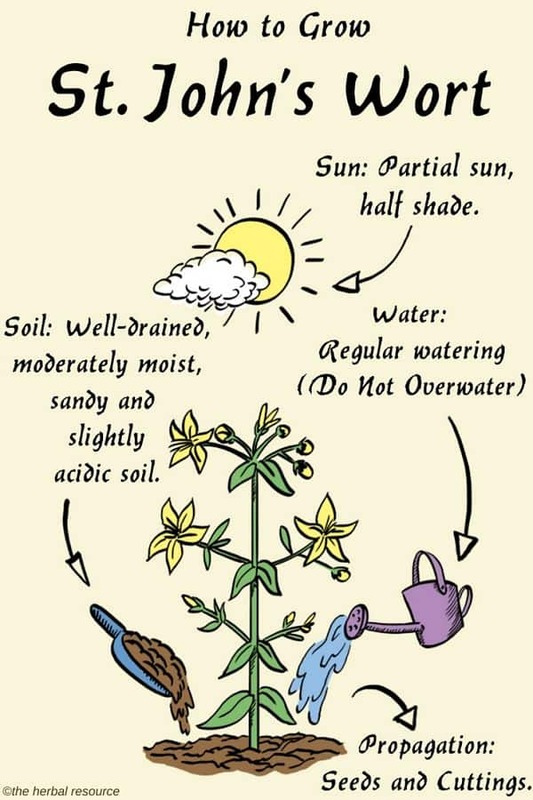 Soil: St. John’s wort can grow in a variety of soil types but grows best in well-drained, moderately moist, sandy and slightly acidic soil. Fertilizer is rarely needed when growing St. John’s wort and only if the soil is of very poor quality. However, compost can be used before planting. Sun: The plant thrives best half sun or semi shade. The ideal location is where it get access to the bright morning sun and where it gets some shade from the intense afternoon sunlight. If the plant is exposed to too much sun, the leaves can become scorched while too much shade will result in fewer flowers produced. Water: St. John’s wort thrives best if watered regularly and the soil is kept evenly moist. A layer of mulch can be placed around the base of the plant to preserve moisture. If it is grown in pots or containers, it might need some extra watering. A fully grown plant can survive drought, but it does not tolerate over-watering. Pests and Diseases: St. Johns wort is not prone to either pest or diseases, but it can happen. The most common ones are the Klamath beetle (Chrysolina beetle) that feeds on the plant and the fungal disease anthracnose which shows up on the plant as rusty leaves and stems. If the plant becomes infected, an insecticide or fungicide can be used, or the plant can be removed from the garden to prevent the infection from spreading to other plants. Pruning: If the plant is not harvested regularly for medicinal purposes it might require occasional pruning. It should be done in early spring (late winter) before the first buds arrive as this encourages flowering. St. John’s wort should only be harvested a year from its first flowering. In the second and following years, the plant should be allowed to flower before harvesting, usually in June or July. Around one-third of the plant (flowers, stalks, and leaves) can be cut without causing permanent damage. The plant material can be dried for later use by hanging the stems, with the leaves and flowers still attached, in a cold, dry and dark place for 7 to 10 days. To speed up the drying process, the plant material can be placed on a cookie sheet in a warm oven (40 to 50 °C/100-120 °F ) for an hour. Alternatively, a commercial dehydrator can be used. When the herb is adequately dried, it should be placed in a clean airtight container and stored in a cool, dry, and dark place. St. John’s wort has been used as a medicinal herb for a long time, and it is best known for its sedative and anti-depressant effect. 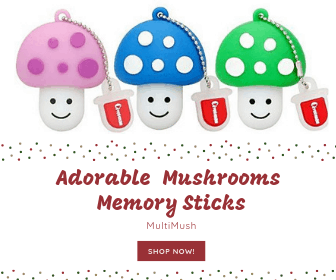 Also, it is believed to have diuretic, analgesic, anti-inflammatory, and antispasmodic properties. The dried flowers can be used in tea and tincture making. The herb is also commonly available commercially in tablet, capsules and tincture form. When is right time for collecting the seed which can be used for sowing? Best to collect them in late summer or early autumn.